Spiced Honey, a deliciously warming neutral shade, has been chosen as the colour of the year for 2019 by a panel of trends analysts and colour theorists at Dulux. Billed as a reflection of homeowners’ desire to let in light, Dulux’s new hero colour is said to represent optimism and activism after the tumultuous global events of recent years. Our interiors expert, Lorna McAleer explains how to ‘hit the sweet spot’ with caramel and honey coloured window dressings from our extensive collections. 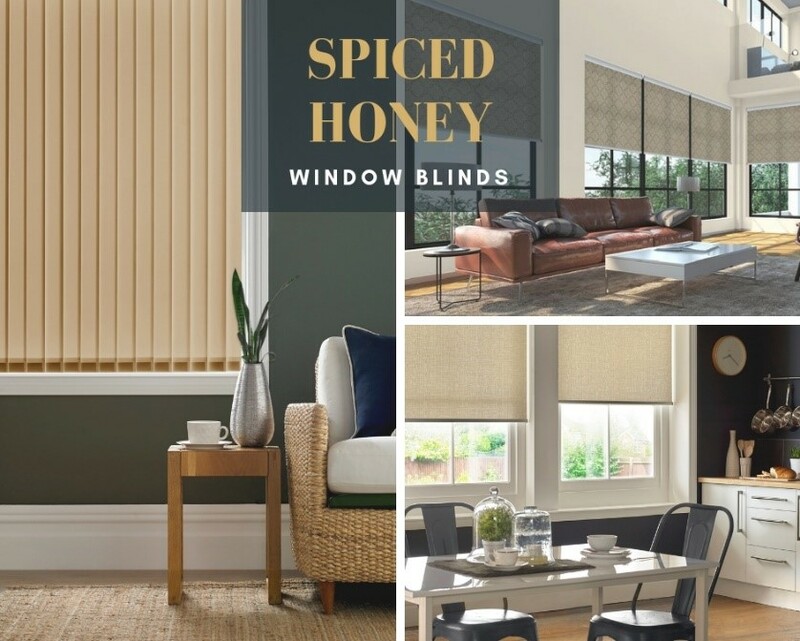 Spiced honey provides a warm glow at windows when mixed with terracotta red and our warming Hive® blinds. This sweet and spicy shade can be calming, nourishing, stimulating or rejuvenating, depending on how it’s used and the colours it’s paired with. As well as being very versatile, Spiced Honey is an extremely easy tone to work with – there’s hardly a colour it would clash with. Dulux recommends a collection of supporting colours for Spiced Honey. Pastel pinks, deep burgundy, sophisticated blues, lush greens and intense terracotta red are all suggested as accompanying shades. Personally, I love it when teamed with deep olive or kale greens that provide an earthy balance to the golden nectar tones. Rich midnight blue is another great match. Or why not incorporate the classic combination of milk and honey – creamy/off-white shades with golden honey tones – to create an enduring look. Spiced Honey is a soothing shade, it’s calming and easy on the eye, but that doesn’t mean to say it has to be plain. Whether your interior style is about bold and daring patterns or dainty smaller-scale designs, because it’s so versatile, Spiced Honey will carry any pattern. Our sketch roller blinds have a freehand textured feel and are a great way to introduce visual interest at the windows. Alternatively, the delicate lattice work pattern on our Casablanca roller blinds has quite a Moroccan feel to it, another hot trend for autumn/winter. 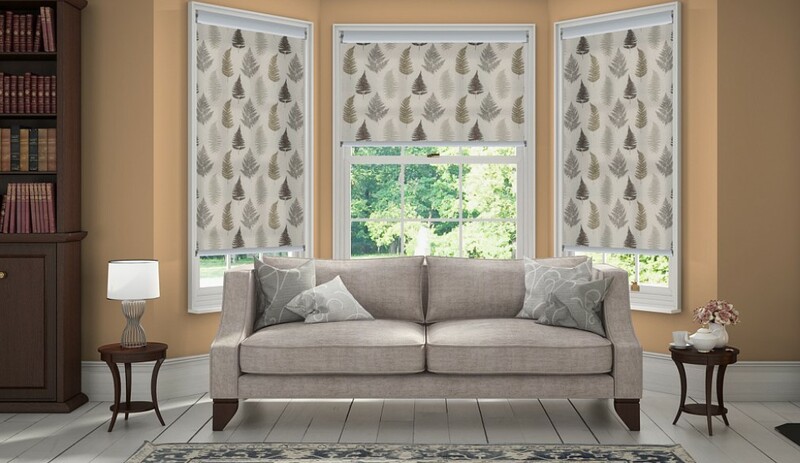 If you’ve opted for Spiced Honey on the walls, then our Fern roller blinds will pick out similar tones and provide a focal point at the windows. 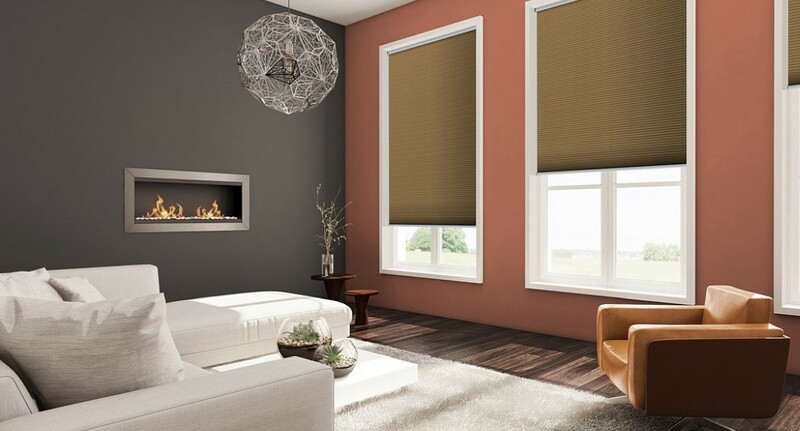 Spiced Honey on the walls is complemented with patterned window blinds in similar tones. Don’t forget you can try any of our blinds in realistic room settings, using our online tool DesignSpace. And if you like what you see, you can order up to five free fabric samples and find your nearest stockist for a free, no obligation consultation. 5 Tips on how to give your home a Feng Shui makeover this Spring! When Grey is here to stay! © 2019 Copyright Style Studio.